This year, I attended EduTECH for the third time. While there are always moments at these conferences that feel like either a hard sell or a complete waste of time, if nothing else it is a good boost of motivation, and an affirmation that this area of education that I'm so interested in really is important! There was an amazing collection of international keynote speakers at this year's conference; from educational rock star Sir Ken Robinson, to Sugatra Mitra (he of the 'hole in the wall experiments', the always-engaging (and inspiring) Ewan McIntosh, and the very passionate Ian Jukes. All of them spoke about the importance of creativity, of the changing educational environment and of the need to change the way we approach education. Me and the event MC, Adam Spencer. I can only wish I was that cool and clever! There were also some fantastic locals that had a lot of great things to say. 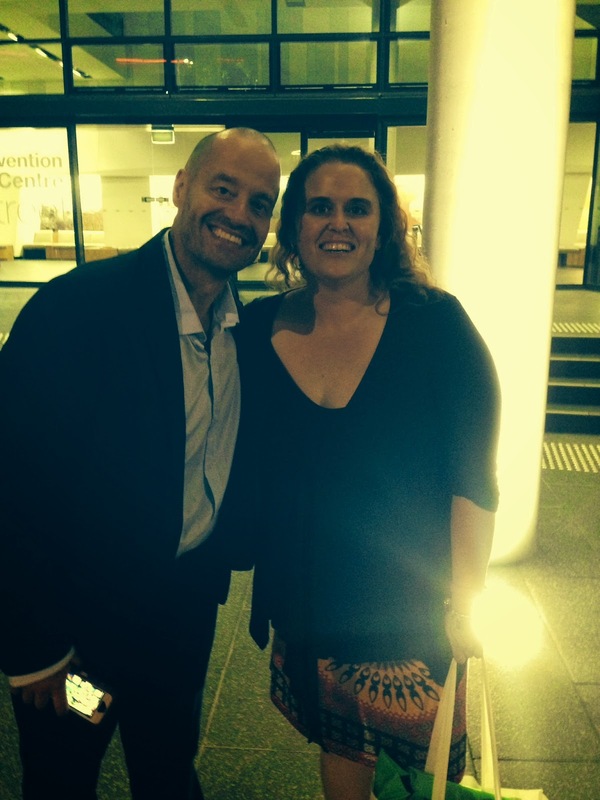 I saw Dan Haesler at EduTECH in 2012, and I love his commitment to well-being in students and teachers. I have seen first hand how much of an impact good relationships, a strong values program and an emphasis on emotional intelligence can have on a school community, so I hope that he can continue to grow his audience and share his message. It was also the first time I've heard Judy O'Connell speak. She struck me as extraordinarily committed and knowledgeable about the field, and I am interested in finding out more about her work. I like it when I am able to hear from local experts such as these. These conferences are often dominated by international speakers, and while they are always inspirational and engaging, I like to think that Australia has just as many clever, innovative people that are just as capable of delivering this important message. In the coming days/weeks, I will go back over my notes and blog about my reflections to these and other conference presentations, but also try and include some interpretation: just what exactly does it mean for teachers, pre-service teachers and schools, and what the heck should we be doing?